It would be an understatement to mention that high potential talent is the backbone of a company’s success. This one group – if channelized appropriately – can help companies build & retain industry leadership positions; and create organizational cultures like no other. Therefore, not only do HiPo talent bases help companies achieve short-term objectives and enhance overall retention rates, they also help build long-term value. However, retaining High Potential talent is a daunting task for any organization; and this is especially true of talent-driven knowledge economy enterprises. So how does a company structure a focused program to identifying and engaging this talent in order to build a sustainable workforce? High potential talent is the future high performance talent base of the organization and significant effort is invested into designing programs for enhancing their impact on operations and growth. Most large companies have fast-track growth and leadership development programs to help this talent base accelerate their move from the high potential to high performance arena. Large multinational programs also introduce cross-geography engagements for high potential talent to further enhance their impact and stickiness. The old adage that 80% of the work is done by 20% of the workforce is still a very real situation in most organizations today. And this 20% workforce comprises high potential and high performance talent. High potential employees operate in operations roles as well as those involving innovation. High potential talent typically forms a second layer – acting as great set of lieutenants and as a redundancy measure. By working to the best of their potential, high potential resources set benchmarks which are higher than what the company would have normally achieved. Therefore, not only do they contribute directly to business growth, they also help raise the bar on overall company performance. Engaging high potential workforce is like riding a tiger – much as they are able to positively impact a company’s working and help create multiplier effect for every aspect that they are engaged with, they are also in high demand. High potential talent makes for a small proportion of overall talent bases and, therefore, companies are consistently on the look-out for such resources. Often, therefore, companies grapple with the concept of creating adequate opportunities to keep HiPo talent engaged and encouraged to stay within their fold. 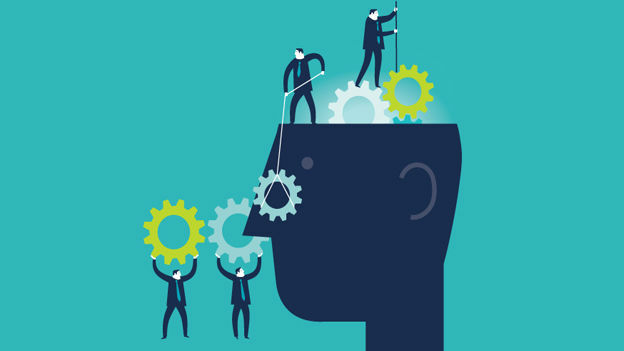 High potential talent is generally found excelling in two functions: an operational function (such as frontend sales or finance), wherein pure skill, training and background is the basis of performance; or an innovation function, where the person’s innate capability to think laterally is their biggest asset. For these two functions, the drivers of the person’s ability to consistently perform and turn potential into actual performance are very distinct. The operational high potential resource is driven largely by the need to grow rapidly through the ranks to reach a leadership level. The innovation high potential resource is driven by the need to rollout new initiatives and work on initiatives that will be path-breaking. However, the one thing that is common between them is the thirst for recognition and to be acknowledged for what they have achieved. Such recognition is a major motivational factor for a high potential resource. Herein evolves the diverse set of initiatives companies need to work on to create a conducive environment to get high potential resources to consistently perform and to help them retain such high potential teams. At the end of the day, there is only so much space on the organizational hierarchy pyramid that the high potential talent base can grow into. The higher the number of high potential hires, the slower their progress. The outcomes of such skews is general perception about mismanagement of high potential resources, discontent and high attrition rates. It also gives rise to often unhealthy competition amongst the high potential resources. The importance of having the right mentor/supervisor/manager for a high potential resource is a key first step to retaining them. To the extent possible, high potential resources should be made to work under high performance bosses. Managerial mentoring (or lack of it) is a key make-or-break for retention of high potential resources. Often, inept managers tend to underplay or quell the involvement of high potential staff in key projects out of insecurities. This is one area where the difference between operational HiPos and innovation HiPos comes to the fore the most. Opportunities created for operational high potential talent should include moving them laterally between teams and having them intervene as specialists in operational delivery enhancement initiatives. Innovation HiPos on the other hand need to be given a range of projects that keep their minds occupied – boredom is the one major reason why innovation-focused talent looks for opportunities outside of their current engagements. Every right-thinking employer today understands that development of Employee Value Proposition (EVP) that forms the foundation of an employer brand. This is the framework which should drive employee engagement and succeed truly when it goes beyond words into employee engagement culture. However, each employee type requires a specialist EVP, beyond a generic one, and companies must focus on developing, communicating and implementing a focused EVP for HiPos. Also, considering the increasing impact of social media on employee perceptions, it is important to involve HiPos in the process of employee value communication. Therefore, they should not just be the recipients of the message but contributors to its propagation as well. Involving HiPos in the company’s communications initiatives, including but not limited to social media channels is a good engagement practice. Leadership development programs, which should include a range of training modules should be rolled out for HiPos to increase their productivity which impacts and help retain them. These modules should cover soft skills, hard skills and leadership qualities. Such leadership development programs help provide increased recognition – a merit badge as it were – for HiPos. In addition, companies should consciously promote HiPos to address their need for recognition. This could be in the form of enhanced focus on highlighting their achievements through company communications and giving them access to forums where they can interact with senior management. Rishi Das is the CEO of HirePro and an accomplished industry leader.